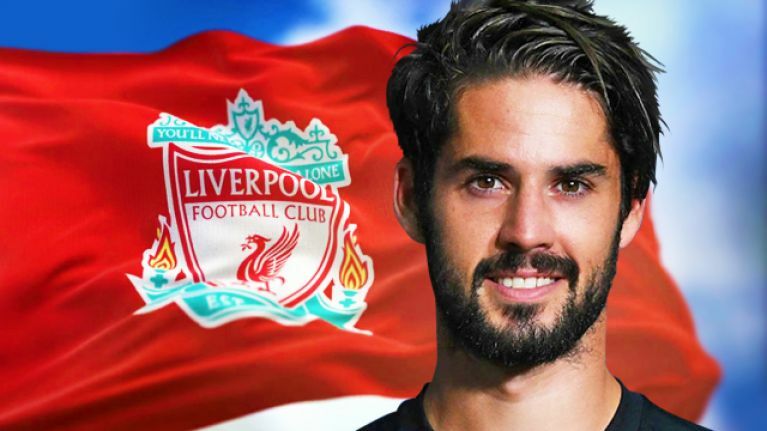 Liverpool are yet to buy a replacement for Philippe Coutinho, but that could change if Isco leaves Real Madrid this summer. According to reports in Spain, Liverpool are among several clubs who would be interested in the Spanish midfielder. Chelsea, Juventus, Arsenal, Bayern Munich and Manchester City are the other clubs named as possible suitors for Isco. There are set to be big changes at Madrid this summer, as the club are 19 points behind Barcelona in the La Liga table. The report claims that Zinedine Zidane is willing to sell Isco in the summer. However, considering Zidane may need to retain the Champions League to remain as manager next year, he's unlikely to have much say on the player's future. The Spanish midfielder was in excellent form last season, and would be a suitable replacement for Coutinho at Anfield should he arrive, even if he wouldn't be a natural fit for Jurgen Klopp's high energy, pressing tactics.